You have a strict budget, a set amount of vacation days, and a long list of “to-dos” for your upcoming Disney World family vacation. So, how do you prioritize where to spend your Disney time and dollars? Here’s your guide to what’s worth the splurge at Disney World — and what you should skip entirely — based on your children’s ages. Plan to tour the theme parks early in the day with baby, then retreat to your lodging for an afternoon nap and — if you’re up to it — return to the parks for an hour or two before you call it a day. Money wasted if you don’t follow the “dash until you crash” plan? We think not! Sanity (and sleep) saved can be priceless. In order to execute the “Pace Versus Race” plan, splurge on the most accessible Disney lodging. Book a stay at one of the monorail hotels (Disney’s Contemporary Resort, Disney’s Polynesian Resort, Disney’s Grand Floridian Resort) and you’ll spend minimal time and energy traveling to and from the theme parks. You can wheel your stroller (and your sleeping infant) right on and off the monorail with ease! 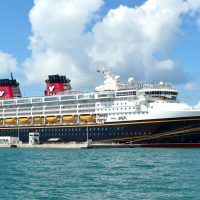 Alternatively, if you don’t care about visiting the Magic Kingdom, splurge on a stay at one of the Deluxe Epcot Area Resorts (Disney’s Beach Club Resort, Disney’s Boardwalk Resort) or Disney’s Swan & Dolphin Resorts. From these lodgings, you can stroll or take a boat to both Epcot and Disney’s Hollywood Studios. Admission to Disney theme parks is free for kids under 3, which means you can really stretch your vacation budget by visiting when your child is still a toddler. While it’s tempting to continue the cost-cutting trend by staying at a Value or Moderate resort, why not use the money you saved on tickets to pay for a more spacious and convenient hotel? Deluxe Disney Resorts, as well as Disney World Vacation Club Resorts, feature loads of extra amenities, including Minnie Van service. This new point-to-point transportation system (additional fee) allows you to travel around “The World” with ease and speed, without having to compete for seat space with strangers. Since the transportation service is operated by Disney (versus Uber) and car seats are provided, you can skip the car rental with the comfort of knowing your toddler is safe and secure. Among the Disney Deluxe category resorts, Disney’s Wilderness Lodge is our top pick for affordability paired with convenience. From this resort, you can travel by boat to the Magic Kingdom, or summon the Minnie Van service to take you around the parks. Deluxe Studios at Disney’s Old Key West Resort, which features a free activity center where your little one can play, are another lower-cost, Minnie Van-accessible option. Parents of preschoolers can save a significant amount of cash and still have a great time by staying put at a single Disney theme park for the day, rather than upgrading to a Park Hopper ticket (which allows you to “hop” from park to park on the same day.) If you’re visiting Disney World for four or more days, you can get your fill of each of the four theme parks without a Park Hopper upgrade. If your visit is shorter, and you have traditional tickets, you’ll need to decide which parks appeal most to your family. 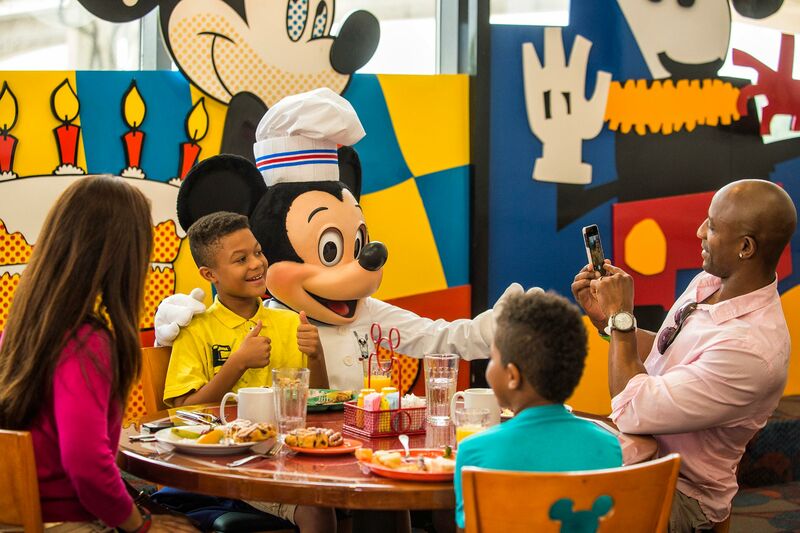 A great way to maximize the Disney magic, while still saving money, is to enjoy a character meal at a Disney resort hotel the evening of your arrival. 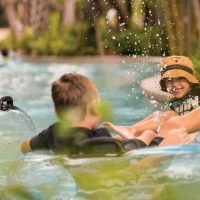 Your kids can enjoy one-on-one time with their favorite characters, then relax and enjoy your resort’s amenities before a big day at the theme parks. Onsite resort character dinner venues include Chef Mickey’s at Disney’s Contemporary Resort, which features “The Fab Five” (Mickey, Minnie, Donald, Goofy & Pluto,) 1900 Park Fare at Disney’s Grand Floridian Resort (Cinderella and Prince Charming) and Mickey’s Backyard Barbecue (seasonal; Mickey, Minnie, Goofy, Chip ‘n Dale) at Disney’s Fort Wilderness Resort. School-age kids are among the most delightful age group for a Disney World vacation. Keep in mind, however, that attention spans and patience are still growing at this age, so after a day of taking their turn in line, they won’t likely be thrilled to participate in another theme park “waiting game.” Skip the theme parks dessert parties — those paid events that feature front row fireworks views and sweet treats — in favor of a more action-packed nighttime adventure. Departing from Disney’s Contemporary Resort, Disney’s Pirates & Pals Fireworks Voyage is perfect for families with elementary-age kids, and includes a pre-cruise dessert buffet followed by a “boatload” of fun, games and character entertainment paired with a magical Happily Ever After fireworks show view. For non-seafarers, Disney’s Family Magic Tour (Disney’s Magic Kingdom Park) is an alternate daytime adventures seemingly custom-made for this age group, while Hoop-Dee-Doo Musical Review (Pioneer Hall at Disney’s Fort Wilderness Resort) will entertain every family member. The Family Magic Tour is a “hop, skip and jump” theme park treasure hunt, while Hoop-Dee-Doo is a fun-filled Western vaudeville review featuring classic picnic fare and wholesome down-home humor. Tweens appreciate it when you give them some space, yet they’re still of the age where they’re not “too cool” to hang with the family. Most of all, they enjoy the thrill of a challenge-whether it’s conquering a scary ride, catching a wave or stepping in the shoes of a Stormtrooper. 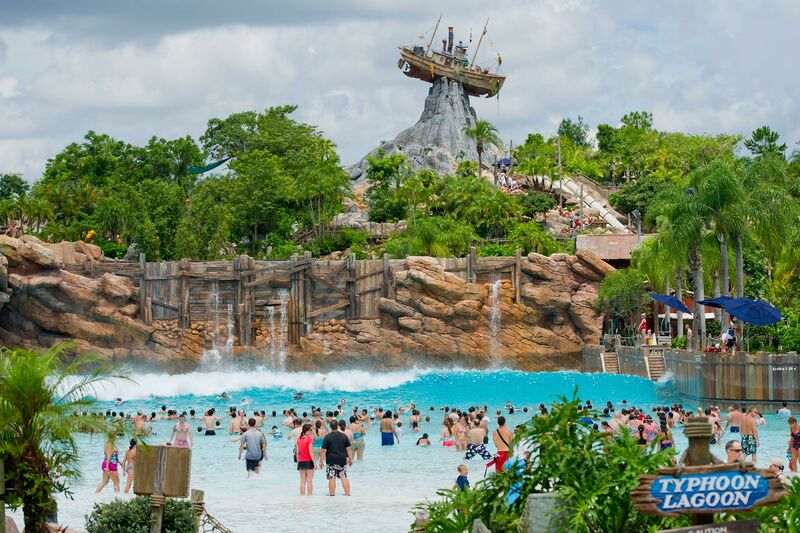 Skip the character breakfast on your next Disney World visit, and instead treat your tweens to an afternoon at Typhoon Lagoon or Blizzard Beach Waterpark. Kids can catch a wave, and spread their wings tackling the slides, then join you for a thrilling family raft ride. If you’re visiting in the cooler winter season, check out The VOID instead. Located in the Town Centre at Disney Springs, the venue is the site of the new Star Wars: Secrets of the Empire Virtual Reality Experience. Open to guests ages 10 and up (48-inch height minimum), the multi-sensory, real-time, hyper-reality experience can be played by family teams of four. It’s true that teens love to shop. But, bragging rights are social currency, which is considered to be even more valuable by many members of Generation Z. Give your teens something they can “gram” or chat about, by booking them a Disney special experience. Water sports rentals (Bay Lake Marina at Disney’s Contemporary Resort) and cooking classes (Amorette’s Patisserie at Disney Springs) are great photo-worthy, teen-friendly options. While teenagers are all about selfies, trying to get them to cooperate with posing for a family photo is slightly less challenging than herding cats. Parents of teens may want to splurge on a Memory Maker photo package, which leaves the herding up to the professionals (a.k.a. official Disney photographers.) We practically guarantee that you’ll preserve some precious family vacation memories — or at least one worthy of an annual Christmas card. College kids keep odd hours- sometimes they’re up half the night studying, and when they’re home on break, you may not see them until noon or later. Give them a break on vacation by giving them permission to skip the early morning theme park rope drop, and instead indulge in evening Extra Magic Hours, which is free for Disney Resort and Disney Springs Resort Area hotel guests. During this time, park-goers can enjoy select attractions and extended theme park hours. If you’re feeling especially generous, you might even want to splurge on Disney After Hours. 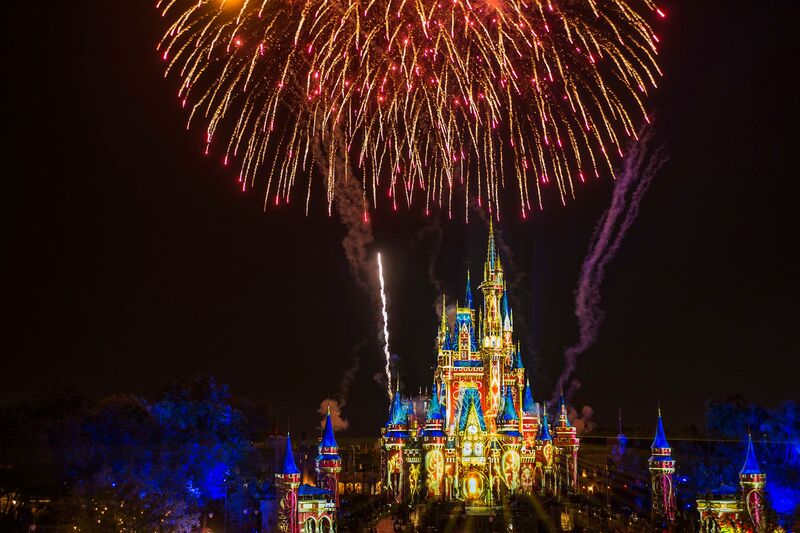 This special limited attendance three-hour Magic Kingdom event allows ticket-holders to enjoy character greetings with little wait time along with exclusive access to 25 popular park attractions. College kids play along with younger siblings-or without. You’re never too old for the Magic Kingdom, right?